The stars were certainly aligned when our clients decided to make the leap on this current project. After a referral from another family that had recently built with us in Downers Grove's Randall Park (shout out to the H family! ), this couple approached us at the very early stages of exploring the potential of a custom build. Like many of our clients, they were gathering information and deciding if this was the right move for them. Currently living in the city meant a move would impact commutes, schools, lifestyle - and they wanted to be sure that the tradeoff would be more than worth it. As they described the ideal lot for them; close to town, close to train, great schools, big yard, great neighbors - we knew we had the perfect match for them. 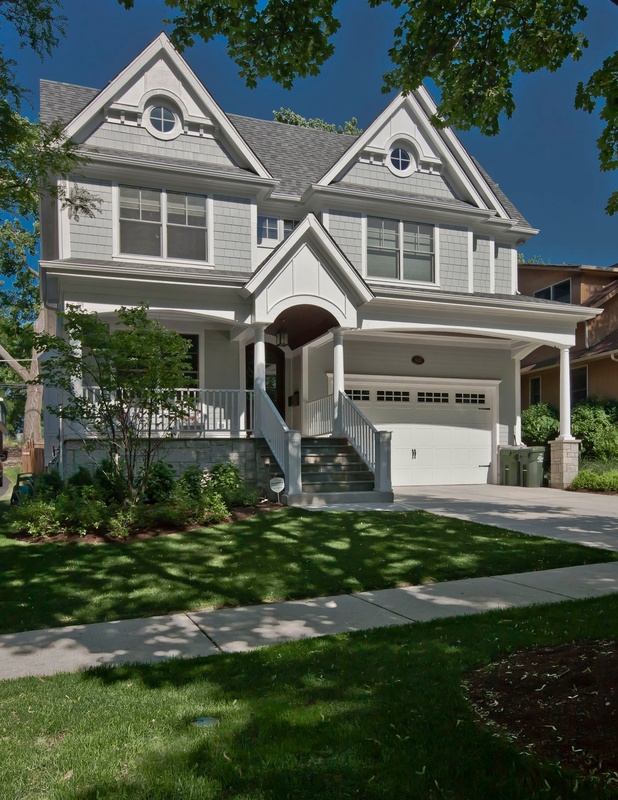 As luck would have it we had just been approached by the owner of an oversized lot next door to one we finished up last year on Blodgett Ave in Downers Grove. As soon as this couple saw the property, they knew it was for them and we set out making that happen! Do I really need all of the traditional rooms in many homes if we likely won't use them? No! But we were sure to think of how we could make the square footage work as best as possible for them when working on their architectural plans. This resulted in eliminating a formal dining room in their floorplan (but ensured the dinette could accommodate a big table) as well as eliminating a formal living room. How do I set up the layout so it works for how we live our life? This was important for these home chefs and occasional work-from-home employees. We blew out this kitchen to make it be a place they'd be sure to enjoy cooking in and added an extra study upstairs so there was a quiet work from home space to escape to if kids are playing downstairs. The downstairs office will transition with them through life stages; perhaps as a playroom now and a den/office down the road. 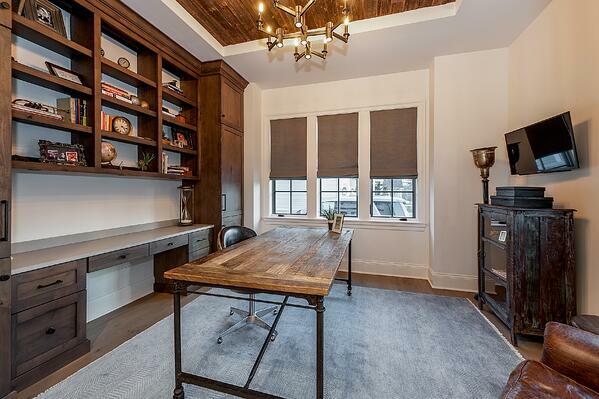 Office space, homework room, music room or quiet sitting room - these first floor spaces can transition with clients to fit changing needs. We bought this home for the lot and location - how can we maximize this? This extra deep lot is begging for a home that plays up the private, tree-filled views. So we were sure that the architectural plans we designed with them made the view of the glorious backyard the showpiece. From the window-filled dinette to the family room with doors that open to the yard, whether inside or out, they will be able to soak up this gorgeous property. 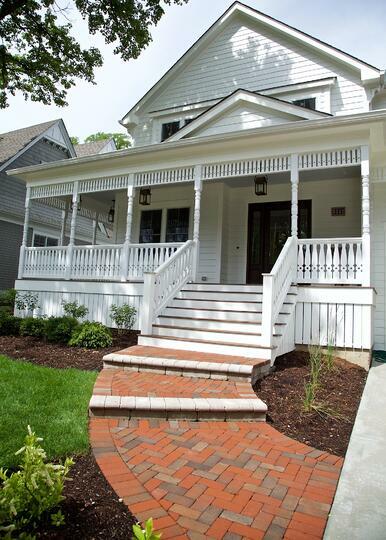 And lest we forget about the front - these clients added an extra deep front porch perfect for settling in on and watching their kids rides bike up and down this family friendly street. Here's a similarly sized lot in the same neighborhood. Those expansive backyards are worth planning around! What can we do to personalize this home in our own special way? We love seeing how client's put their fingerprints on a home's design. From the exterior of the home to the discussion around interior choices - we're working to find traditional elements that complement the neighborhood and client's taste but finding fresh ways to put their own stamp on it. 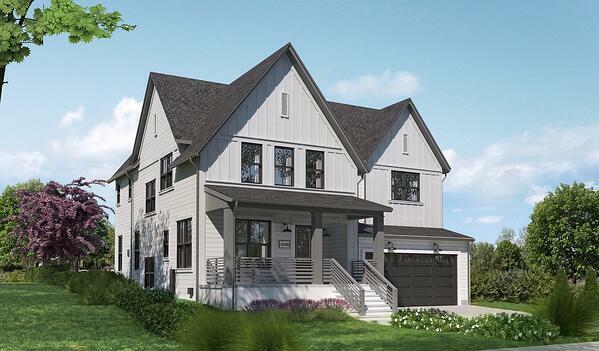 As exterior colors are being finalized, the board and batten home may feature tonal colors with a dramatic pop from a graphic front porch design - and there's talk of some beautiful painted cabinetry inside the home. 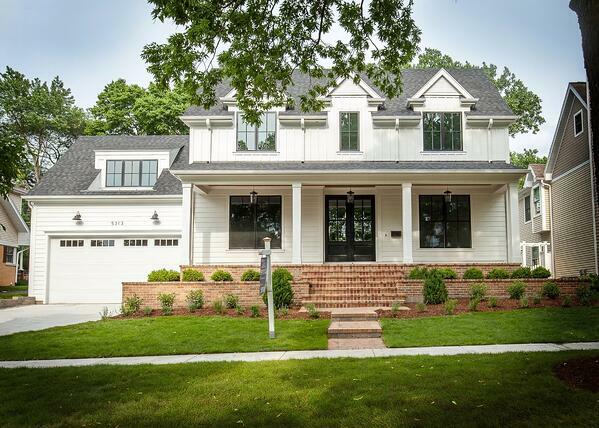 We can't wait to finalize this home for this family and know they'll love their new suburban roots. This will be the 17th Oakley-built home in Randall Park (with another one coming that we can't wait to share with you soon!). 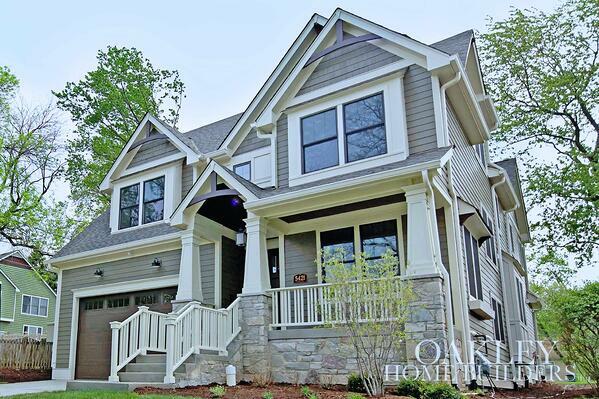 We included a sampling below of other homes we've built in this small neighborhood. ...and we currently have one other property available in this neighborhood. Contact us today if you'd like the scoop on it!